Pawtucket wins 6-1, coñaso! Win goes to Terry Doyle, who did a great job! Doyle pitched seven innings David Pauley-style, minus the recreational drug use. He gave up one run, that being a solo home run by Darin Ruf. Doyle threw 91 pitches, 64 for strikes, and struck out six batters. Of course, I missed all of this. Starter for the IronPigs was Cesar Jiminez, who was evidently a little less successful. He didn't make five innings, but I'm not even sure if he is a starter anyway. I don't get CC'd on the lineups and such, although the IronPigs did call me and offer me a game package. Makes sense, since I live four and a half hours away. So nobody scored until halfway through the game. In the fifth inning, Ryan Lavarnway and Brandon Snyder each hit a solo home run and it was 2-0. Ruf's home run came in the seventh to make it 2-1. Bottom of the seventh, Zach Miner pitching. Ryan Lavarnway led off with a single, and then Miner walked both Bryce Brentz and Mitch Maier to load 'em up for Brandon Snyder. LOL Zach Miner. Snyder's been pretty good so far (TM) for Pawtucket and he did not fail to deliver in this instance, doubling to left field and bringing in a couple of runs. Jeremy Hazelbaker popped out, but then Miner walked Jonathan Diaz to load the bases again and that's what got him replaced. Justin DeFratus! DeFratus walked Brock Holt, which brought Maier in from third. And then Drew Sutton hit a sac fly, scoring Snyder. And then David Ortiz got the last out. Shucks! Jose de La Torre and Chris Carpenter polished off the rest of the game like a fabulous apricot pie. Carpenter's inning wasn't the cutest thing in the world, but better than the last outing. 1. Brandon Snyder and Drew Sutton both made errors. 3. Local game stories with Ortiz rehabbing: Four or five paragraphs about his heel/foot, a picture of Ortiz, a few quotes, and then at the tail end, maybe one sentence about the actual game and the pitching. SOME PEOPLE CARE ABOUT THE PAWSOX. 4. " Doyle allowed one run on two hits while walking one and striking out five over five innings of work on Saturday. His walk and his surrendered run both materialized in the first inning, but then the 27-year-old retired 13 of the 14 batters he faced in the subsequent four innings." 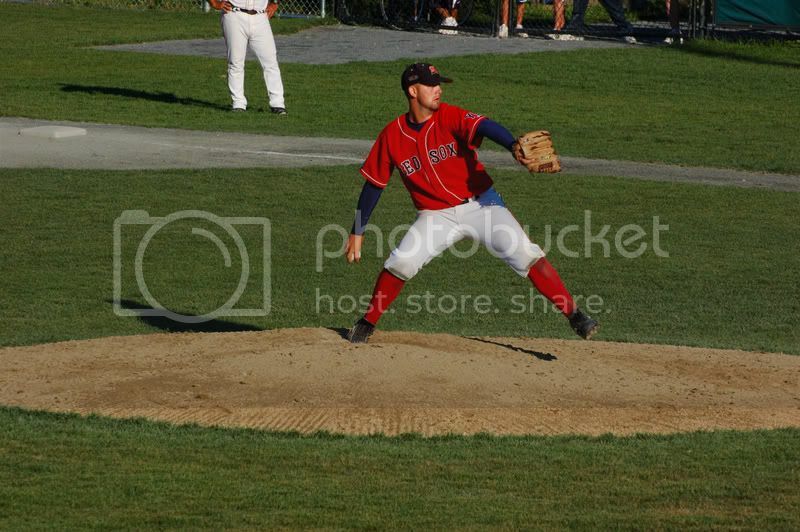 - Plus more stuff on Doyle from PawSox Blog. THIS AFTERNOON! Rubby De La Rosa v Adam Morgan. See you there!